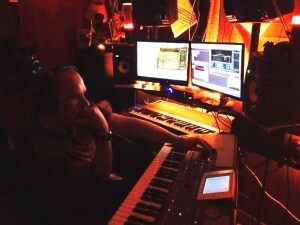 At the controls in the Tightrope. Growing up through the 70s & 80s, I often found myself with little to do. I probably read more than the average seven or eight-year-old back then – sometimes reading 2 or 3 books a week; and was always interested in ‘arty’ things – either drawing or designing something would keep me occupied and amused for a few hours, until I once again became ‘bored’. Due to my dad’s job, we never really got to get away much, and as mum was a non-driver this meant most of my days where spent either with a few friends or looking for some sort of mischief to get up to on my own – judging by the amounts of time I was told off, this was usually accomplished with great success may I add. Home gaming consoles were very much in their infancy, with Atari & Commodore etc… allowing us to hit a tiny white square across a flickering screen with a slightly bigger white line – ‘Pong’…game of champions! Those days were certainly different – better in most, not so good in others. I didn’t realise just how much I owe to ‘those days’ for what I do now. Like many people – I simply loved the 80’s. Whatever I got up to when I was younger, whether writing, drawing, reading or simply trying to find out what made things work (often with terrible results), they all planted the seeds of being creative in what would be the plant-pot of my life to come. The majority of whatever I got up to to amuse myself came from a wild young imagination wanting to learn, experience and hopefully grow. 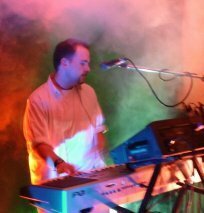 Perhaps it’s ironic that today, well over 30 years later, I do my own artwork and virtually write, record and produce all my own original material from within my studio. I remember this day like it was only yesterday. It was around 1979 when I heard a song on the television. I was in another room at the time but came in to see a strange looking guy on screen. The whole thing just looked and sounded very strange to me – I’d never experienced or seen anything like it during my 7 or 8 years on the planet. I listened for a while before going back to whatever I’d been doing beforehand. It was two or three weeks later and we were at the weekly market when I happened to see the guy from telly again. The song came back to me as though it was playing in my head and I knew there and then I had to buy the single with the strange man on the cover. 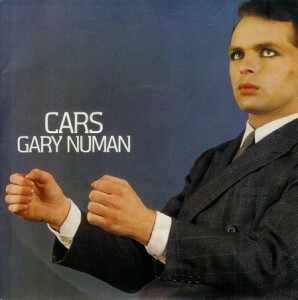 That strange man was Gary Newman – the song was ‘Cars’, and I had just bought synthesiser created music for the first time on a vinyl single. Uh oh! That may seem like yesterday to me but of course it wasn’t. “Today I have an appreciation for many types of music – in fact I don’t write to any particular style”. 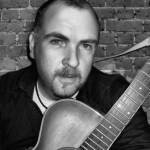 I’ve written acoustic, electro, crossover, folk, ballads; including a few instrumental pieces. I have a lot to thank my family for in this regard, as well as being there for me and supporting me throughout. My dad loved his country music, mum liked the softer ballads, and my sister liked her pop – I was subjected to just about everything under the sun and loved it all (well…most). I was just able to hear music differently to most people I suppose. I had what some have called the gift of being able to pick out a rhythm-guitar in the background, or almost close everything else off and just listen for what the low strings in the background are doing. I’m not ashamed to say there have been many songs that have reduced me to tears simply from how they’ve been arranged around a string or guitar arrangement. It’s strange, being a songwriter, that it’s seldom the lyrics that pull at my heartstrings in a song – always the music. I still believe today that it’s the actual music in a song that provides the emotion; the words are simply there to guide us through what’s happening. I like to think of it as a reaction to pure emotional beauty on a very deep level; and after meeting and discussing this with several very close friends, it’s nice to know I’m not alone.